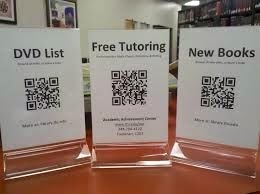 Barb Zinkovich offers some QR code ideas. "QR codes seem to be everywhere! For the uninitiated, QR codes are the square barcodes you find on just about anything today -- from food labels to store coupons to visitor guide brochures -- accessible with a QR reader that can be downloaded to any smartphone or tablet device. Once scanned, the codes link to a source (a video or website, for example) that provides more information on a particular topic. For that reason, QR codes can make an effective promotional tool."